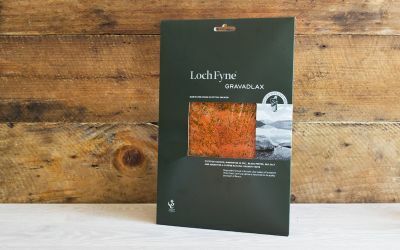 Ideal for pasta dishes, quiche and pâté. As this is a by-product piece sizes can vary. 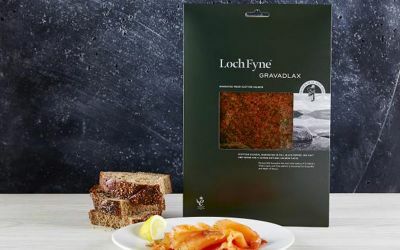 Fresh Loch Fyne Scottish salmon fillets are marinated for three to four days in our special blend of dill, black pepper, cane sugar and sea salt. An impressive party dish with its own aromatic flavour, quite different from the smoked variety. Serve on its own or compliment with a dill and sweet mustard sauce. 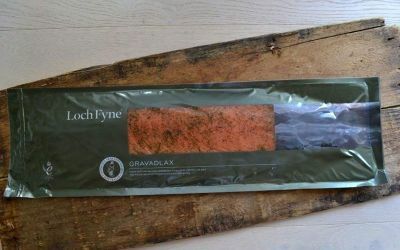 Scottish Farmed SALMON (FISH) (Salmo salar) 95%, sea salt 2.8%, raw and white cane sugar 1.2%, dill 0.8%, black pepper 0.2%.